Now that the military standoff between India and China at the Doklam plateau is well into its second month, rhetoric from both sides has been increasing with each passing day. 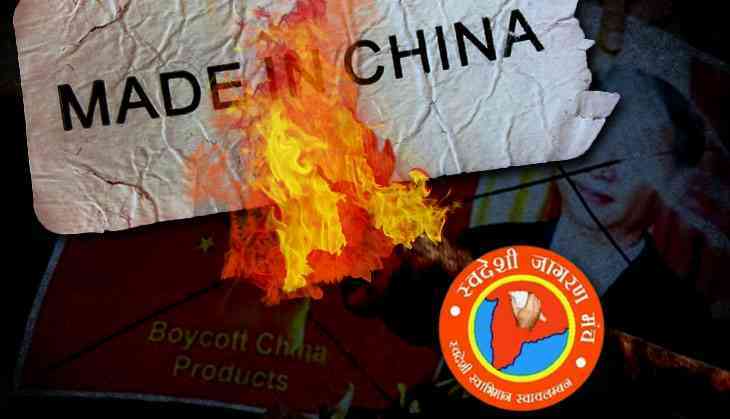 To fight the Chinese in its own way, RSS' economic wing Swadeshi Jagaran Manch (SJM) is attempting to a wage an economic war against Chinese products and contracts. SJM has decided to intensify its “boycott Chinese products” campaign. As a part of it, the SJM will be training an army of around 8,000 speakers who will be charged with the responsibility of educating the masses about the multi-dimensional threats posed by the Chinese presence. The army of speakers will be provided with various booklets detailing the 'growing invasion' of Chinese companies and their products in India. “Despite the obvious threat, Chinese companies are continuously preferred and awarded contracts across sectors and across the country. From Nagpur Metro to a housing project in Haryana, Chinese presence is increasing including in border areas, which is a matter of grave concern,” SJM national spokesperson Deepak Sharma said. “India’s trade deficit in 2015-16 was 115 billion USD of which China accounted for nearly 44%. From this one can gauge the how much of foreign exchange we are losing out to them. If it continues, the day is not far away not just the economy but our security and integrity of India will be ruined,” he said. While China Railway Rolling Stock Corporation (CRRC) bagged the contract for the supplying coaches for the Nagpur Metro, China's multinational conglomerate Dalian Wanda Group is part of multibillion dollar real estate project in Haryana. Besides "crippling" the Indian economy and creating unemployment, the SJM claims the growing Chinese presence is a threat to India’s security, particularly in the cyber and strategic areas. It has demanded that contracts given out to Chinese companies be scrapped. “Chinese products are infiltrating our vital defence and strategic installations. A large number of the walkie-talkies used by our police are made in China. We must be aware and prepared about the cyber threat posed by China,” he said, referring to online espionage and hacking attempts emanating from China. Since it began the boycott campaign in January, SJM claims that nearly 9 million people have declared that they will not buy Chinese products. The reason for the lack of momentum, according to SJM, is the attitude of the Narendra Modi-led government. “We have repeatedly warned the government about the dangers of China’s economic invasion, but they have chosen to be indifferent. But at the end of the day be it the Prime Minister or his ministers, all are accountable to the people. That’s why we are building this mass movement which the government cannot ignore,” he said. The RSS too will be joining hands with the SJM and launch a 15-day long mass awareness campaign against Chinese goods across the country from August 1. Sharma also dismissed fears if the anti-Chinese campaign was successful, it could lead to unemployment. “It’s a myth that foreign companies be it Chinese or otherwise create jobs. Compared to the unemployment that is created because of their plundering, the employment generation by them is negligible. If they go India and Indians will be saved,” he added.